In his address, he praised the work of Missouri-based Quaker Windows. Last fall he participated in a ground breaking for Quaker’s new plant under construction in Eldon. Quaker officials cited the new energy legislation, passed in the 2018 Legislative session, as a contributing factor in the company’s decision to expand its operations in central Missouri. The new law, now being implemented as Ameren Missouri’s Smart Energy Plan, contains an economic development provision that provided Quaker Windows the incentive to build a new plant and hire more workers. The new law also supports an additional one billion dollars in energy grid improvements and infrastructure upgrades over the next five years across Ameren Missouri's service territory. 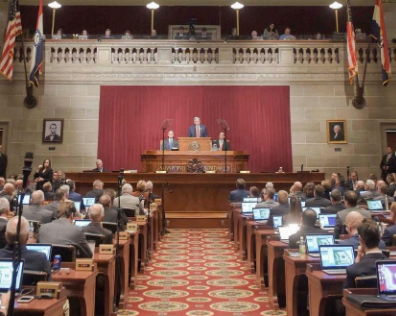 Implementation of the Smart Energy Plan, which will be officially filed at the Missouri Public Service Commission in the coming weeks, will support the creation of more than three thousand direct and indirect jobs in Missouri. Customers will get a chance to preview the plan in a public meeting in early March.